Wedges are the type of shoe you either love or hate. In my case, I love them because they are fashionable and versatile. 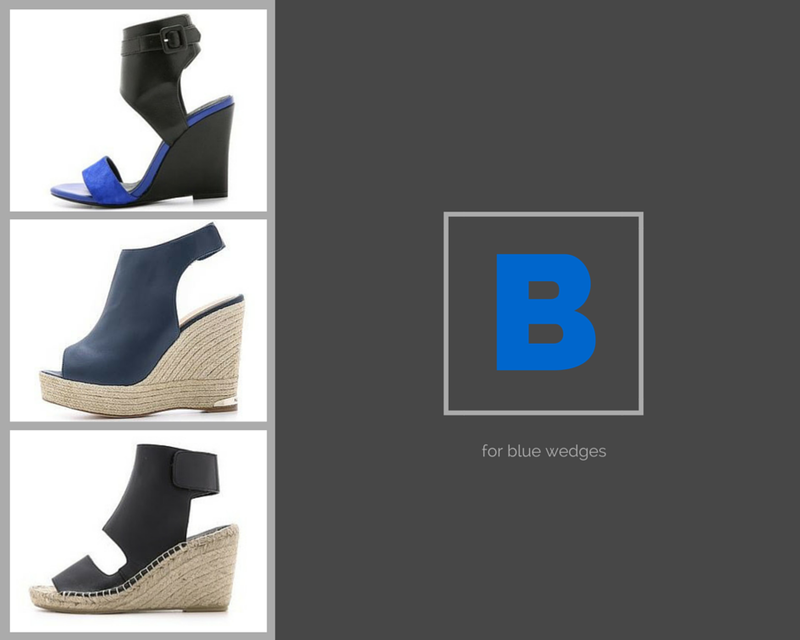 One of my favorites are blue wedges (here are some great options for you) because it is an easy color to pair with different outfits instead of your typical black. They add height to this shorty and are easier to walk in than stilettos. If you're heavier on the ankle, consider wedges. They add definition and shape and make ankles appear thinner. If you're not comfortable styling a wedge, then keep it simple. Maxi skirts and jumpsuits are your best options. My personal favorite is with a pair of skinny jeans (find a variety of options here). Dressing up your wedge heel is all about balance and showing off a great pair of wedges will be so worth it! For more inspiration on wedges, Pinterest has your back!